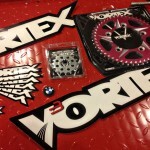 We are pleased to say we have renewed our sponsorship agreement with Vortex for the 2015 racing season! 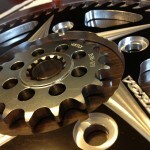 We ordered some new sprockets for the bike, including a limited edition pink sprocket! Thanks for the continued support, Vortex!